You could always go for the tomato sauce in the jar, but if you are feeling a little more adventurous, here is a delicious recipe that I use to make my own simple and tasty. Combine olive oil and onions in a pot over low heat and cook 10 - 12 minutes until onions become translucent and soft. Stir in garlic while coating entirely with oil, cook for 15 minutes until garlic has softened. Add in cherry tomatoes and cook 20 minutes. 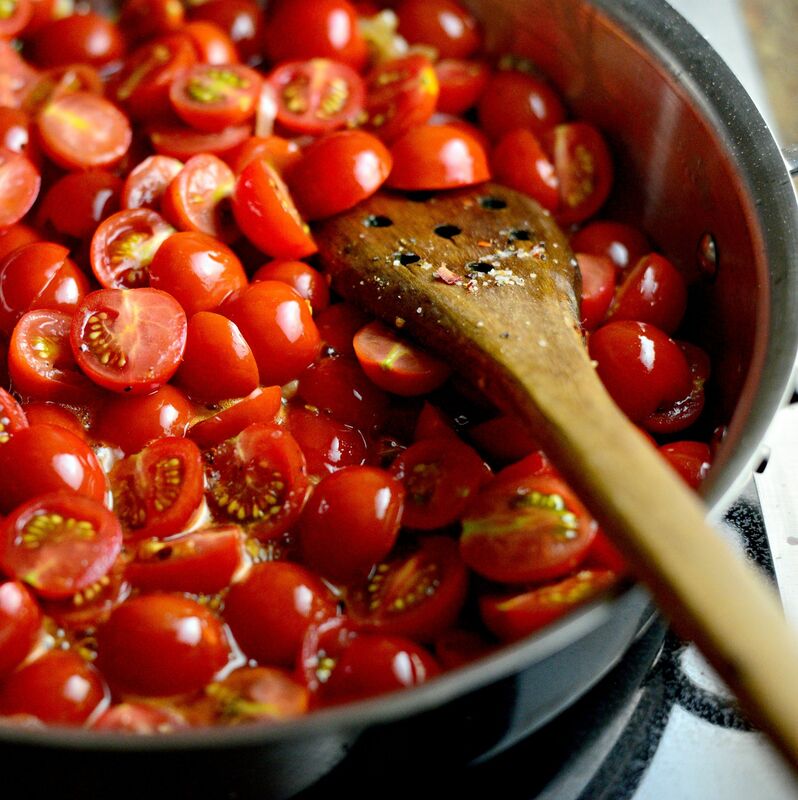 Stir in fresh basil stems, partially cover pot and allow mixture to cook 1 hour on low heat, stirring occasionally, until cherry tomatoes have burst and deflated and the mixture has turned to a rich sauce. Discard basil or remove some of the leaves from stems and reserve in sauce Season sauce with salt and pepper to taste and stir in red pepper flakes to taste if desired.